Once Upon a Twilight! 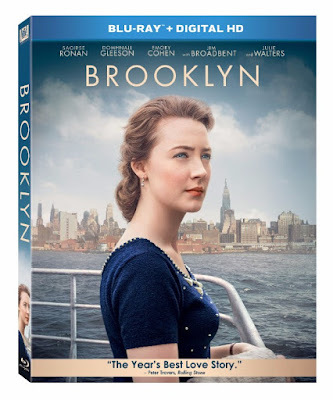 : BROOKLYN Arrives On Digital HD February 23 and Blu-ray™ and DVD March 15! BROOKLYN Arrives On Digital HD February 23 and Blu-ray™ and DVD March 15! Twentieth Century Fox Home Entertainment and Fox Searchlight Pictures invite audiences to experience the highly acclaimed film BROOKLYN. Based on the best-selling novel the film tells the story about falling in love...and finding your way home and is nominated for three ACADEMY AWARDS® including Best Motion Picture of the Year, Best Performance by an Actress in a Leading Role and Best Writing, Adapted Screenplay. GOLDEN GLOBE®, SCREEN ACTOR’S GUILD AWARD® and ACADEMY AWARD® Nominee Saoirse Ronan lights up the screen as Eilis Lacey, a young Irish immigrant, navigating through Brooklyn, alone, in the 1950s. Although her initial sadness and homesickness gives way to romance with an Italian-American, Eilis’s life is disrupted by news from her hometown. After traveling home to mourn the loss of a loved one, she finds herself forced to choose between two countries and two men on opposite sides of the world. 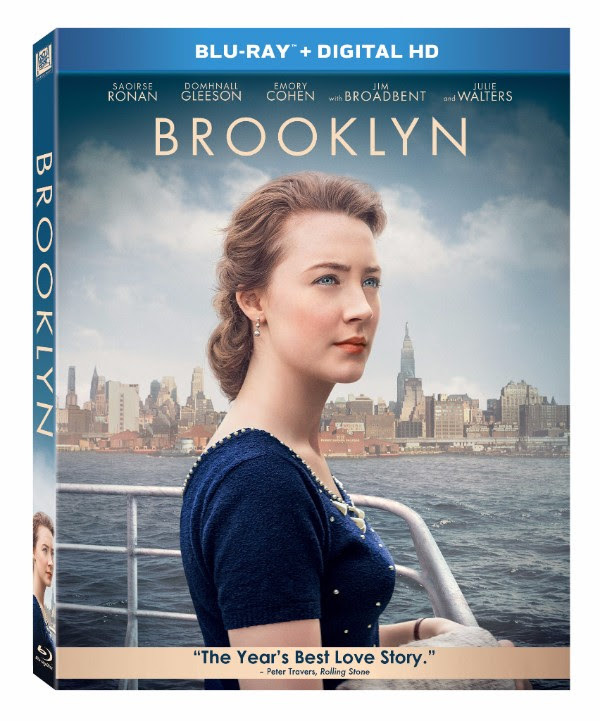 Hailed as one of the most talked about love stories of 2015, BROOKLYN highlights the profound examination of the immigration experience, and transcends cultures and generations. Saoirse Ronan’s infuses Eilis’ character with rich humanity and her awards-worthy performance allows the story told in the original book to leap off the pages and into the heart of viewers everywhere.